Sunday reader post: How to get your upgrade at CDG – Dr. Julien shows the way! This is another installment of Sunday reader input on the blog with more to follow all month long. I am really enjoying getting to know readers and so many have travel specific routes or unique experiences and want to make the effort to share with all of us what they have learned. It is time for Dr. Julien to share his. I have to admit upfront that I personally avoid the Paris airport that is CDG and Air France as much as I can despite my very French name (René de Lambert). To me Amsterdam AMS is such a better run airport. I will say dealing with the club reps in either place is about the same; they are not as helpful as Sky Club reps. I just about never ever pay for tickets as I fly on points. There are a few exceptions but those tend to be mileage runs and I will only upgrade with an OP-UP that is an operational upgrade when they are oversold back in coach (unless I can get an upgrade another way that is 😉 ). But some people do actually like to use points or money to upgrade. So I thought I would “chat” with blog reader Dr. Julien Cavanagh and share his latest “fun” in getting that done, along with his experience of being both a Frenchman and a Delta flyer! Hi Julien, thanks for helping me and readers out with this. I understand you’ve basically been living between New York and Paris for the past 4 years. Why pick Delta for your travels? Hi René – Basically the convenience of having 6 frequencies operated by either DL or AF between the two cities throughout the day, every day, including a 7 p.m. flight from Paris-CDG to JFK. As a Frenchman, I used to be an Air France customer with a Flying Blue account. But Air France doesn’t do any elite upgrades on its domestic (European) flights. And when traveling domestically in the US, I would land very low on the upgrade list, even with AF’s platinum status (I would find myself after Delta’s Silver Medallions—not fun). So in 2011 I started collecting my miles in my SkyMiles account and made Diamond! Flying the JFK-CDG route means you’re flying Air France metal a bunch, I would guess? That’s true. But if my schedule allows, I end up trying to fly Delta metal. I found that even with the joint venture and the SkyTeam alliance, Delta’s customers are not really at home on Air France’s planes or dealing with Air France’s ground staff. For example, I remember flying Air France nonstop between LAX and CDG. I was seated in Business class, and the purser came over to greet the passenger sitting next to me. She went on and on about how wonderful it was to have an Air France Platinum customer onboard. After she was done, I was expecting her to thank me for my business as a Diamond Medallion. But after she was done speaking with my seatmate, she just said “Bonjour, monsieur” to me and walked away! That might sound like a silly anecdote, but it really means that Delta Diamonds and Platinums never stand a chance of an upgrade, even in an oversold situation on an Air France flight. Air France’s FFs or even random people will always come first. I have to tell you, Julien, I have seen the same thing (and I bet other readers have too). Still, even if you fly Delta metal between the US and France, what about Air France staff at CDG airport? Are they any better to you as a Delta SkyTeam Elite Plus flyer? Delta outsourced its check-in, boarding and lounge operations to AF in France. There’s even a local SkyMiles hotline, located in Lyon, for French-speaking Delta customers, but it’s operated by Air France reps! OK then, so just how good are Air France staff and reps at handling Delta’s business in France? First, let’s start with reservations. If you bought a ticket through Delta – especially if it’s on AF metal – you need to know there are two PNRs to your reservation, one with Delta and one with Air France. Even though it’s one reservation, the two PNRs will act as though you had made two different reservations. This means the passenger information won’t flow between the two files. Sometimes, you can input your Delta PNR into Air France’s website and get into the reservation. That will reveal the shadow Air France PNR (with its associated record locator), and you’ll be able to enter your passport number, etc. If that trick doesn’t work, you need to call a Delta rep on the phone and they’ll give you your AF record locator so you can access the AF PNR. 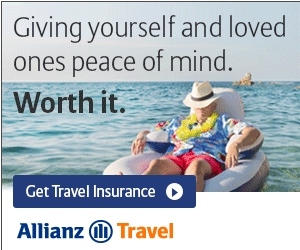 Yep, and you can also go to KLM.com, put in the Delta one, and get it that way. So what about the other way around: an Air France ticket for a Delta flight since you can still get full Delta credit? Absolutely! All the combinations are possible: an AF ticket for a DL-operated flight but with an AF flight number. Flight codes and metal can even be mixed: my latest ticket was AF-issued with the outbound on DL metal but an AF flight number; the return was on DL metal with a DL flight number. It sounds crazy, but the two airlines share the revenues on those routes and divide tickets into two buckets. If your travel agent is trying to go for the cheapest ticket, they might end up finishing your ticket in the AF bucket. You ever run into any code share issues if you need to change your ticket? Most of the time, they ask you to go back to the airline that issued your ticket if you need to change it (your ticket will start with 006 if it’s issued by Delta and with 057 if it’s issued by Air France). Last time I flew to Paris, my company used a travel agent, and the travel agent made a typo when inputting my name into the reservation (ruh-roh). I found out about it less than 2 hours after the ticket had been issued, but Delta couldn’t do anything: the ticket was issued by AF, and I had to get the travel agent, along with Air France, to correct the mistake. In some cases, however, a Delta rep can transfer you to the international-reissue desk. The international-reissue desk reps seem to have access to a different system (or more powers to make changes to reservations/tickets). It often takes them a very long time to work through the issues, but generally they can change your ticket if you need to. Note that if your ticket is reissued, it will be reissued by the airline you called (i.e., under a Delta ticket # if you call Delta or an AF ticket # if you call Air France), regardless of which airline issued your original ticket. Let’s get back to your experience with the check-in process as this is what sorta got this guest post going. If your passenger information is correctly input in both PNRs, it will most likely go through if you’re flying from the US to France. Checking in for a return to the US is trickier, however. My guess is it’s about security and border protection flying to the US, especially if it’s a one way or the last segment in your reservation. In a lot of cases, the check-in process will not work at all or you’ll be issued a temporary or provisional check-in document, which requires you to stop at the airport check-in counter to get your documents verified to obtain a valid boarding pass. Also, Air France’s system is very bad at recognizing Delta’s Medallion status. Over the past 4 years, the status that has been printed on my boarding passes has been Fantasyland, ranging from Delta Base Member (even though I’m Diamond) to Club 2000 (Air France’s invitation-only VIP status) and everything in between! I’ve been in communication with both DL and AF multiple times about this issue, but it’s never been fixed. Wow. Not surprising really but still wow. That gets us to where you had a bit of an epiphany regarding upgrades out of CDG. It seems so simple on paper, but what was your real life experience? As you know, you can use a global upgrade certificate to upgrade pretty much any Delta economy fare to BusinessElite. I would strongly suggest, just as you have in your posts about these certs, that you keep those for Delta-operated flights because there are basically no restrictions in terms of what fare class you can apply them on. Naturally, if you book an upgradeable fare (Y, B, or M on a Delta flight or S or W on an Air France flight), you can also use regular systemwide UG certs or miles to upgrade to Business on either DL or AF if seats are available. In either case, and if your travel plans permit, I would recommend you speak to a Delta rep and make sure there is upgrade availability before you book your flight. That way you can confirm the upgrade at the time of booking and save a lot of hassle later on. Still, there are many times you have to book anyway when there’s no UG availability at the time of booking. Then, you have to go to the next step. Yes, you can still get that upgrade you want later. If you’re flying Delta metal, they can put you on the wait list. If revenue management decides to open more seats for upgrade in BusinessElite, your upgrade might be processed automatically at some point and you’ll receive a confirmation email. If you’re on an AF-operated flight, there is unfortunately no wait list for upgrades. So you need to call Delta back every once in a while to see if a seat has opened up. What time do you suggest checking in and working on a flight out of Paris if it still hasn’t cleared? Well, let’s take the example of my latest flight to Minneapolis out of Paris-CDG. My company had booked me in S class on the Delta-operated flight. This is a pretty expensive fare class, but it’s still not upgradeable. I called the Diamond desk 3 days before the flight and asked them to price out the fare difference for an M class ticket, which is upgradable with 25,000 miles. The upcharge was $200, which I found to be reasonable. Unfortunately, there was no seat available for upgrade at that point, and the rep told me it didn’t look good. In effect, all I was offered was the opportunity to pay $200 to play the upgrade game! Oh such fun. Tell us what you decided to do. I’m a bit of a gambler so I went ahead and changed my ticket to get that M fare. It was Delta operated so I was put on the upgrade wait list. Unfortunately, my upgrade didn’t clear before check-in time. Ouch. What about the other way—when it’s less than 24 hours before a flight out of Paris and your upgrade still hasn’t cleared? First, you need to understand that none of the usual Delta rules apply in Paris. You won’t be able to see the upgrade list on the app, and the airport agents won’t clear your upgrade even if you’re on the list. If you call the Diamond desk at that point, they’re basically clueless and will have no way of clearing your upgrade. They’ll also tell you that it’s too late for an upgrade with miles because they need time to pull the miles and that your only chance is to use one of your precious global certificates. Don’t believe that! Paris operates with its own set of rules, about which the Diamond desk seems to be kept in the dark. Then it seems like everything must happen at CDG airport is what you are telling us? Yes. You need to go to the airport early and talk to the right people. If you want to use an upgrade certificate, pull the certificate number and the redemption code from your DL account. Then go to the check-in counter and ask the Air France agent to call the gate agent and process the upgrade. Don’t take “No” or “We’ll work on it later” for an answer. Unless the BusinessElite cabin is really totally sold out, they have to do it on the spot and you should leave with a BusinessElite boarding pass. In any case, don’t go through security until your upgrade is sorted out if you expect to be sitting up front on your trip home. What if you’re using miles or have no luck at the check in counter? Any other suggestions? This is when you need to go speak with one of the Delta agents at the ticket counter. Most Air France agents ignore/forget it even exists. You need to walk back to the end of CDG’s Terminal E, presecurity: right up the escalator coming from the train station is a SkyTeam counter with two Delta sales agents. They are Delta employees and very helpful. If you’re upgrading with miles, they’ll be able to instantly pull the miles from your SkyMiles account. It will take them a while to process the whole thing so I usually ask the sales agent to call the gate agent at the beginning of the process in order to block a seat in the BusinessElite cabin under my name: Just say you really want a window, for example. At that point (2-3 hours before the flight), “upgrade availability” doesn’t mean anything anymore. If there are seats in BusinessElite, they should be for you! Still, you don’t want the gate agent to give away your seat to someone else. That is a great tip and sounds much less aggravating than dealing with the AF reps. Any other things we should know? The Delta sales agent will have to collect a tax of approximately €40. That’s because France, along with 8 other countries, implemented a solidarity tax on airline tickets. The tax for business class tickets is higher than for economy tickets. Therefore, the difference must be collected when you upgrade. But at the end of this (long) process, you should leave with a shiny BusinessElite boarding pass. The Delta sales agent has a way to check your documents. So if you’re not checking any bags (or if you already did), you can proceed directly through security. Voilà – vive la France! I have to tell you this sounds like a bureaucratic nightmare to get done. What are you taking away from your experience? Air France is extremely secretive when it comes to its upgrade policy. Don’t expect their upgrade list ever to be public! This lack of transparency is in their culture, and it has a huge impact on the way they handle operations for Delta out of Paris. I think Delta knows this fact, and you can actually use it to your advantage: the Delta sales desk is one of CDG’s hidden gems. I did get my upgrade for this flight to MSP that day because the two Delta sales agents went out of their way to help me! Julien, I uh, thank you for sharing. It always amazes me that an airline can take something that should be simple and make it so hard. I have really enjoyed our chat and thanks so much for being part of the blog. BTW Dr. Julien has his own blog if you want to keep in touch with him and his journeys! He has also promised to follow up with reader questions here on the blog if you have some. Dr. Julien, Thanks for the interesting writeup, probably one of the best posts I’ve read in a while! Rene, posts such as this are the main reason why blogs remain popular in the age of Twitter. Thank you for coordinating and facilitating the dissemination of such valuable insights! It seems like a mighty complicated method to get int’l upgrades. I would think UA or AA would be a better alternative if that sort of thing is important to the traveler. This is an awesome post. I had no idea how to do this. My company buys my tickets and are never upgradeable. I need to try your advice on my next trip to Sweden in August, where I go through CDG. Loved this post!